Marc Morjé Howard is Professor of Government and Law at Georgetown University. 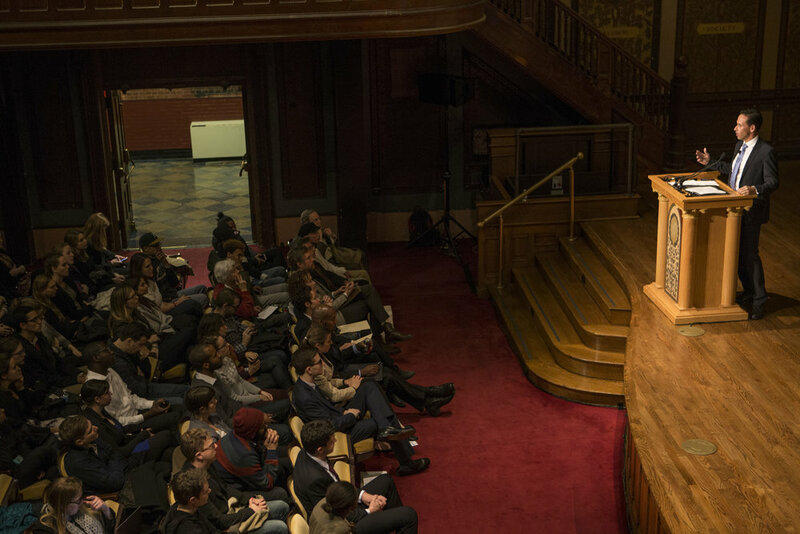 He is the founding Director of the Prisons and Justice Initiative (PJI), which brings together scholars, practitioners, and students to combat the problem of mass incarceration. His research addresses the deep challenges of contemporary democracy and the tragedy of criminal justice and prisons in America. His most recent book is Unusually Cruel: Prisons, Punishment, and the Real American Exceptionalism (Oxford University Press, 2017). Having previously taught for years at the Jessup Correctional Institution, a maximum-security prison in Maryland, Howard is also deeply committed to providing education for incarcerated and formerly incarcerated people. PJI recently launched the Georgetown Prison Scholars Program at the DC Jail, which offers Georgetown courses (both credit-bearing and non-credit) to incarcerated men and women, in partnership with Georgetown's School of Continuing Studies and the DC Department of Corrections. Howard also co-directs the Georgetown Pivot Program, a PJI partnership with the McDonough School of Business and the DC Government to support a cohort of 15-20 returning citizens (formerly incarcerated people) who will spend a year studying entrepreneurship, business, and the liberal arts while also working part-time at Georgetown. On top of his normal teaching duties, Howard created a groundbreaking undergraduate course called Prison Reform Project, which in the Spring 2018 semester he co-taught with his childhood friend and exoneree Marty Tankleff. Their students worked to demonstrate the innocence of four likely wrongfully convicted men. On September 20, 2018, Valentino Dixon walked out of prison after 27 years, in part thanks to the new discoveries made by the Georgetown students. In addition to his work on prison reform, Howard is the author of two other prize-winning books, along with numerous academic articles in such journals as the American Journal of Political Science, the British Journal of Political Science, Perspectives on Politics, and the Journal of Democracy, as well as op-eds in the New York Times and Newsday. He has also written several pieces about the life lessons of sports in Tennis Magazine and Sports Illustrated, including one about being Ivan Lendl's practice partner and another about playing tennis with the San Quentin prison tennis team. Howard received his B.A. in Ethics, Politics, and Economics from Yale University, his M.A. and Ph.D. in Political Science from the University of California, Berkeley, and his J.D. from Georgetown University. 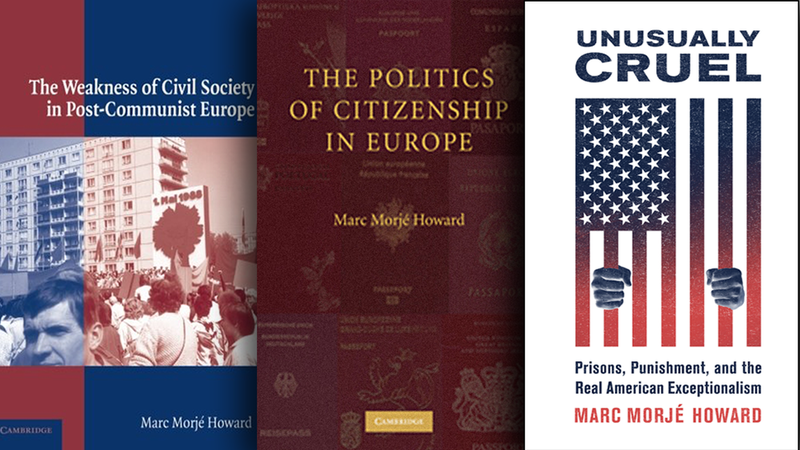 Marc Morjé Howard's new book Unusually Cruel: Prisons, Punishment, and the Real American Exceptionalism is now available. Unusually Cruel argues that the American criminal justice and prison systems are exceptional—in a truly shameful way. Click here to learn more about the book.